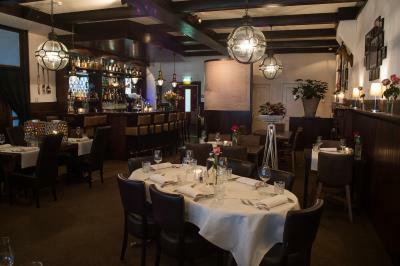 Lock in a great price for Het Wapen van Noordwijkerhout – rated 8.9 by recent guests! The staff was friendly and helpful. Excellent breakfast . The room was upstairs , big and clean , looking to church-so you can hear bells ( at 6 am also) It may be better, if owner will add a kettle and hair dryer. Very nice experience with friendly and welcoming staff! We had the family room: good beds, good shower, perfectly cleaned. And a super breakfast in the morning. Great traditional small inn in a historic town center. Outstanding restaurant. Nice breakfast. Great location. We rented bicycles nearby and rode among the tulip fields and to Keukenhof and the dunes and seashore. As soon as we came in, the employees were amazing. There was one guy in particular who helped us, and he carried our luggage up, showed us everything, he was so kind and welcoming. Down at the bar, he was friendly and had a conversation with us. Such a nice experience that you can't find at a chain hotel. The breakfast in the morning was wonderful as well. The town center is charming, and it was so nice to hear the church bells toll. Very friendly owners and staff. Excellent breakfast, plenty of variety and offered to replenish when plates were empty. Lovely evening meal, all freshly cooked to our liking. Comfortable room with soft beds and nice toiletries in the bathroom. Great location sitting right in the town square with a lovely white church opposite. Bike hire only 5 mins walk away. Everything was nice and I really appreciated the answer to my request by email. The breakfast was just delicious! The Restaurant! 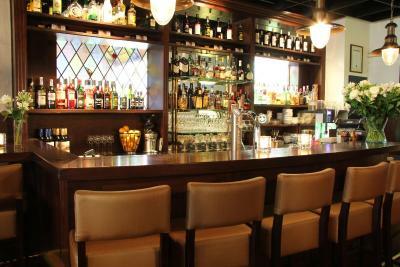 An unexpected local hot spot serving delicious food in a wonderful setting and at a reasonable price. The large room was buzzing and fully booked on a Wednesday night! The hotel is in the very center of the town, so there's a nice atmosphere. Staff was very kind and alway available. Even if the room was quite small, it has everything we needed, and they were as shown in the photos. Ah, and the breakfast... it was delicious! Room was nice and clean, bathroom is also OK. It's positioned right in the center of a little town. Parking is possible in nearby streets, 2min walk. Shops and all you need are near. Restaurant downstairs. Breakfast was continental (no buffet) but it was still good. Each heated room here will provide you with a seating area with flat-screen TV and a DVD player. Featuring a shower, private bathroom also comes with free toiletries. A continental breakfast is available daily. Other facilities offered at the property include meeting facilities, luggage storage and a vending machine. An array of activities can be enjoyed on site or in the surroundings, including cycling. Schiphol Airport is 12 mi away. 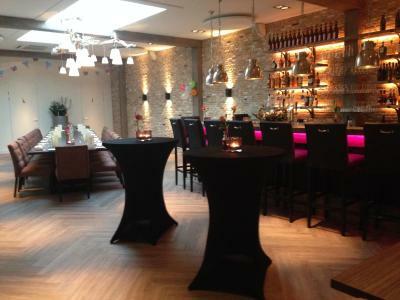 This property also has one of the top-rated locations in Noordwijkerhout! Guests are happier about it compared to other properties in the area. 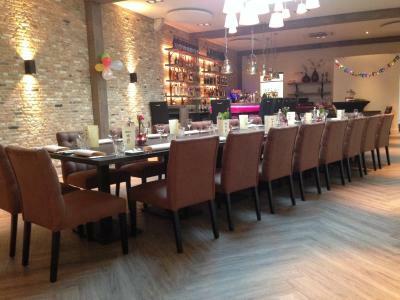 This property is also rated for the best value in Noordwijkerhout! Guests are getting more for their money when compared to other properties in this city. 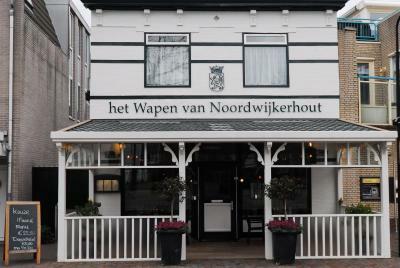 When would you like to stay at Het Wapen van Noordwijkerhout? This family room has a cable TV, seating area and DVD player. House Rules Het Wapen van Noordwijkerhout takes special requests – add in the next step! All children under 12 years are charged EUR 38.50 per night for extra beds. ATM card Het Wapen van Noordwijkerhout accepts these cards and reserves the right to temporarily hold an amount prior to arrival. 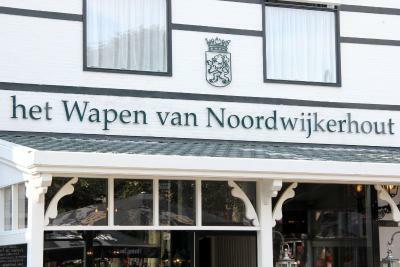 Het Wapen van Noordwijkerhout accepts these cards and reserves the right to temporarily hold an amount prior to arrival. No front desk. Make early checking or late checking a little bit difficult. Nice little hotel. Very clean and super cozy. Breakfast is superb. Great location, near to everything. The free parking is a plus! Whatch out for the steep steps. Reaching the room on the top floor is through the original stairs, really steep even for a young man. May be a real problem for elders. The hotel is right on the central square of this village - this means there is no direct access with a car, so you need to park about 2 minutes walking from the hotel. Very nice structure in the heart of the village (right on the central square). 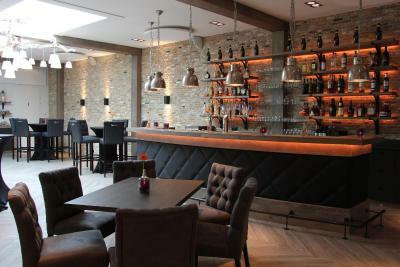 The hotel has a handful of rooms in an old, refurbished cottage, and modernized with style. Basic in-room facilities, but the design is good, not shabby and very welcoming. 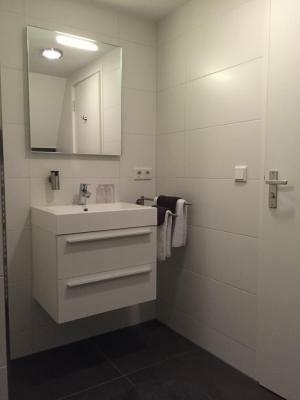 Bathroom is new, large for European standards, and fully functional. The room is totally clean and quiet even on Saturday night, with two big windows and a fully working and operable radiator - very useful as I was sick on my visit and needed a comfortable temperature in winter. Fully working WiFi. Very good breakfast, served in the nice restaurant on the ground floor - clean, well lighted, many flowers, really nice! The owner/staff were very nice and welcoming. All services nearby - church, bank, grocery store, steakhouse, police all within a 2 minutes walk from the hotel. Beautiful neighborhood. All in all, totally recommended, I would come back. Very very very Nice staff. Not much not to like. Friendly and accommodating staff, clean room, lovely breakfast. Wi-fi not so good and TV-channels limited. Amazing place to stay for a week. Clean, comfortable, in the middle of town. Everything you need is close by, wonderful reataurants, supermarkets, and right accross the white church in the middle of the town square. Perfect place to launch your tulip tours from. Attended a conference at Leeuwenhorst Hotel, a short trip away with a bicycle, but no uber so can be a challenge to get around. Overall, loved the stay! The walls are pretty thin but we were there with a quiet crowd so not much of a problem. The location was great for the conference centre down the road, easy 20 minute walk away. The staff were really friendly and made us packed breakfasts for the days we were leaving early. We had dinner one night too, which was tasty. 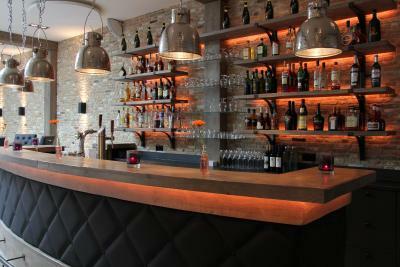 The staff, the restaurant, the location, the service.